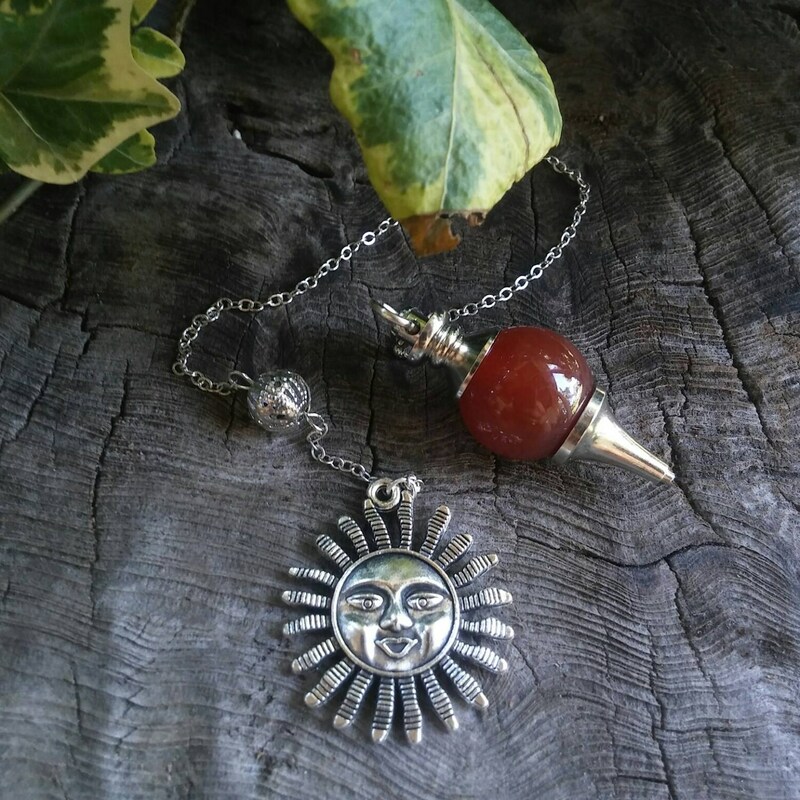 This crystal pendulum is a Red Carnelian ball dowsing pendulum for divination and is 40mm long including mounting hardware. 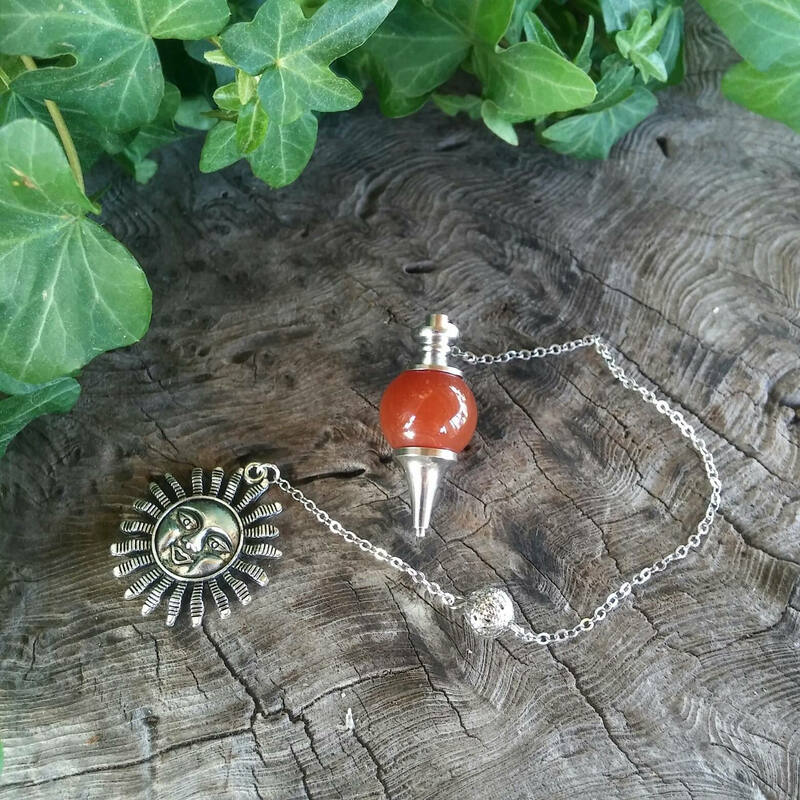 It features a silver plated sun charm and has a 21.5cm (8.5 in) silver plated curb chain with a silver plated filigree ball. 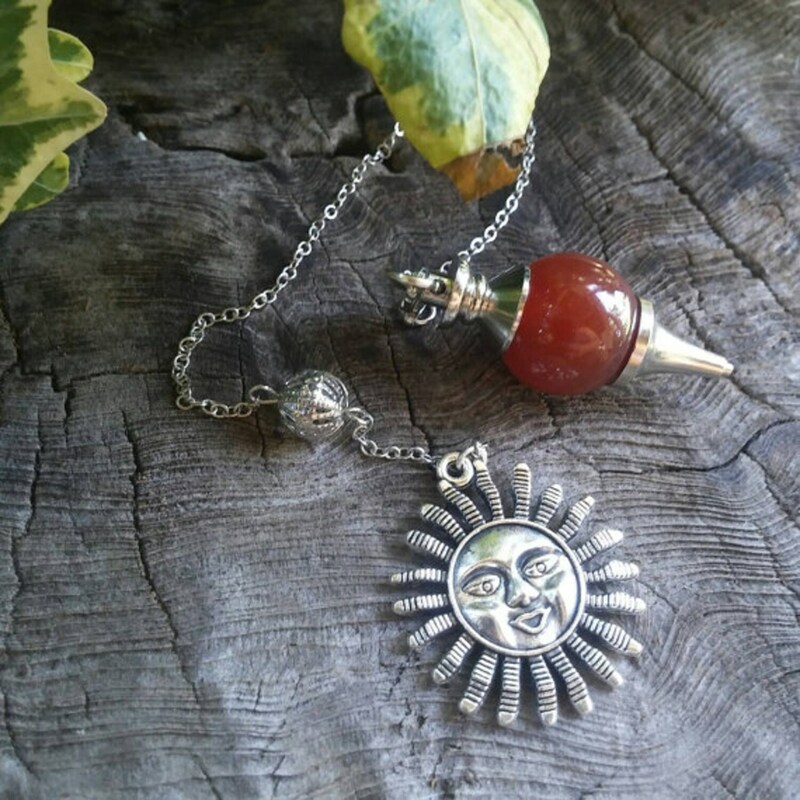 As a chakra pendulum it is identified with the sacral chakra. 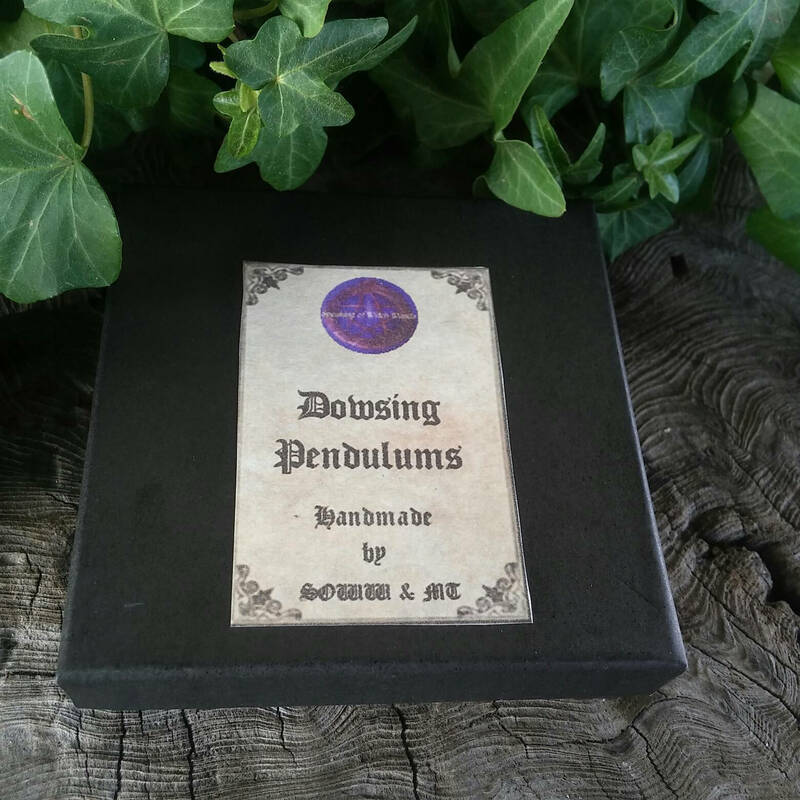 Dowsing has been used in both witchcraft and non-occult practise for hundreds of years for the magical way it finds the answers you seek. 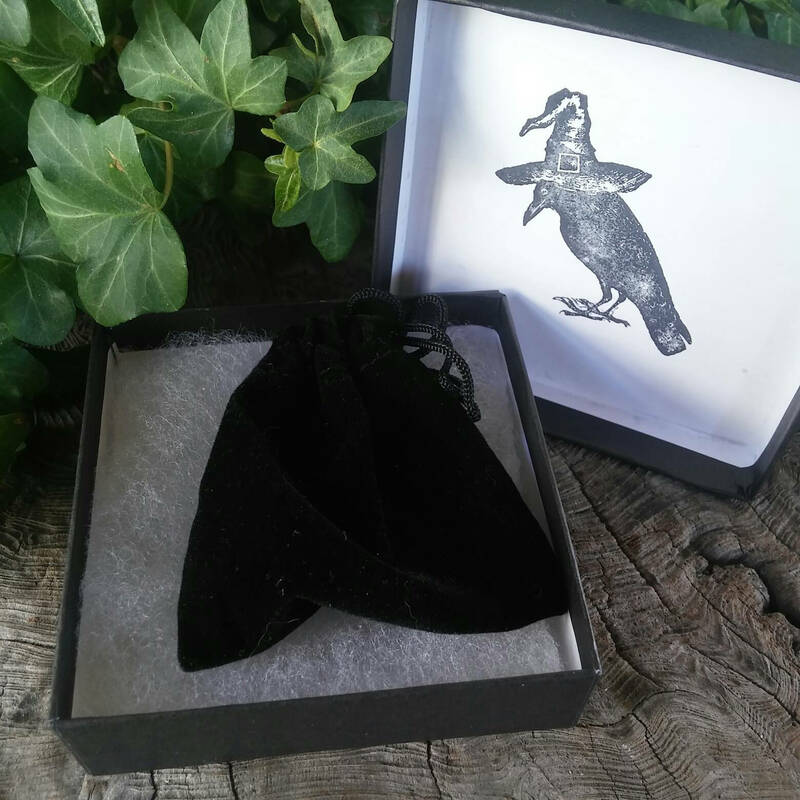 We do not claim that Carnelian can do any of the things listed above, we are only sharing what is traditionally believed of this crystal. Still, we don't repeat things we don't believe or have had experience of ourselves.